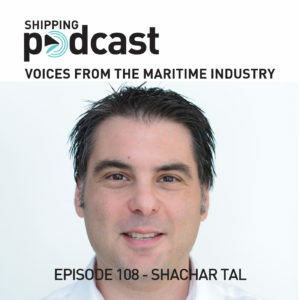 Meet Shachar Tal, the Co-Founder of Loginno , which is short for Logistic Innovation and their product Contopia, a term used to describe a world where every shipping container is real-time IoT connected, tracking of goods at sea. We discuss “who owns the data” in this episode, and who is driving the market? The way that Loginno is tracking the container is via a vent, which is a part of mechanic that is already on the container, you just switch to the one which is connected and there you go, you have the “spying box” as Shachar describes it. Thank you for listening, if you consider becoming a Patreon, please visit https://www.patreon.com/ShippingPodcast that’s where we gather, the ones that want to make recognition for the shipping industry.